In my recent work I have used simple house shapes and street scenes as a back drop for my decorations. 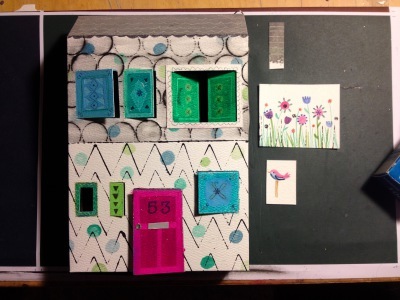 Each house is coloured using watercolour, ink, oil pastel and pencil, then cut and folded into a free standing model. 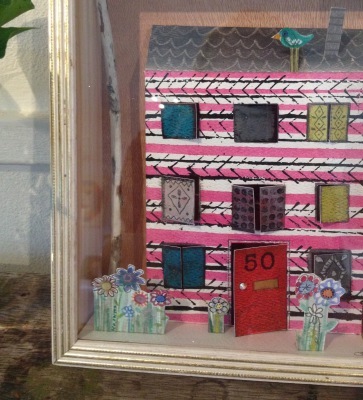 The houses stand alongside drifwood trees and printed paper flowers and figures. 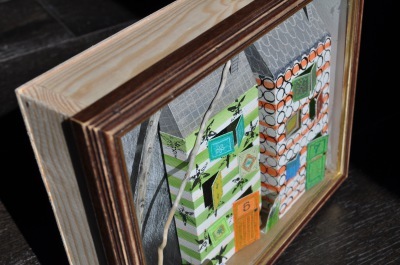 The whole scene is then housed in a sealed wooden box and topped with a reclaimed picture frame.